One thing people mention they miss most living in Israeli is Sunday. In Israel it is a regular week day, with school and work beginning bright and early Sunday morning. No more Monday morning blues in Israel, by Monday evening the week feels half over. In Jerusalem on a Sunday we can enjoy special scenes like this one in Old City, but it’s not a day off. Tuesday, October 30, 2018, was a national holiday, Election Day. 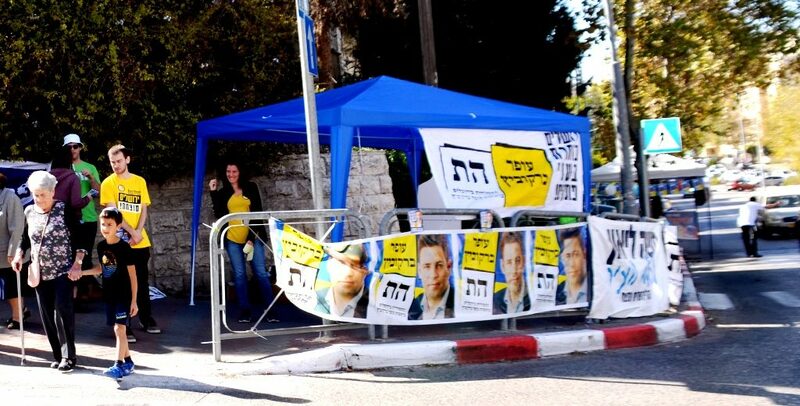 Elections for local governance and municipalities in Israel are held every 5 years. Many olim joked that having this Tuesday off from work made it feel like Sunday. Sadly in Jerusalem even though it was not a work day, the turnout was low. Apathy with only a 30% voter turnout? 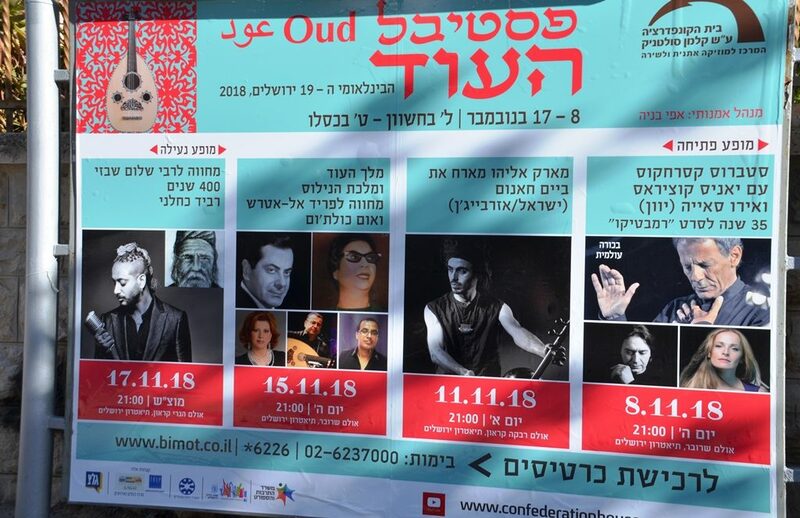 A runoff election is to be held in two weeks between Ofer Berkovitch and Moshe Lion. Meanwhile, the future leadership of Jerusalem, Israel, is an unknown. Nevertheless, tourists keep coming by the tens of thousands. One part of a group in this photo was heading into the Old City near the Jewish Quarter. 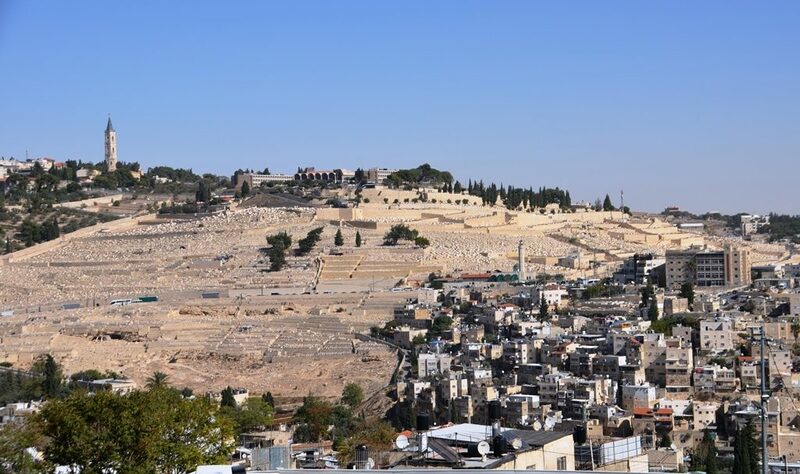 Seeing the grave stones on Har Hazetim, the Mount of Olives, with the Arab buildings up next to, and even on top of ancient Jewish graves, is another visual tourist experience. 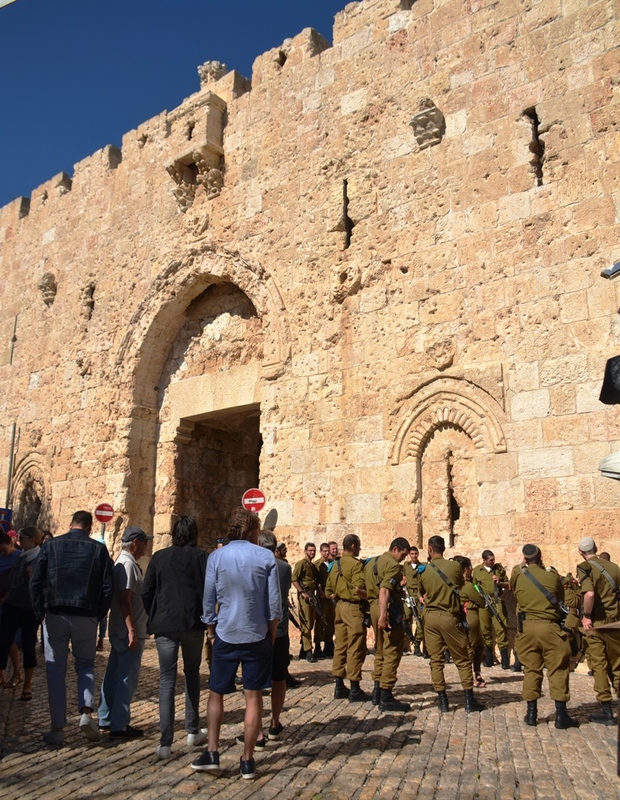 Entering the Old City through Zion Gate, with its bullet-marked stone walls, is often the route for tourists and new IDF soldiers to learn history first hand. The symbol of the Israel Defense Forces (IDF) is a sword wrapped by an olive branch. Olives and olive oil have connection to Eretz Yisrael going back thousands of years. While elections are every five years, harvesting olives has been an annual event for centuries. 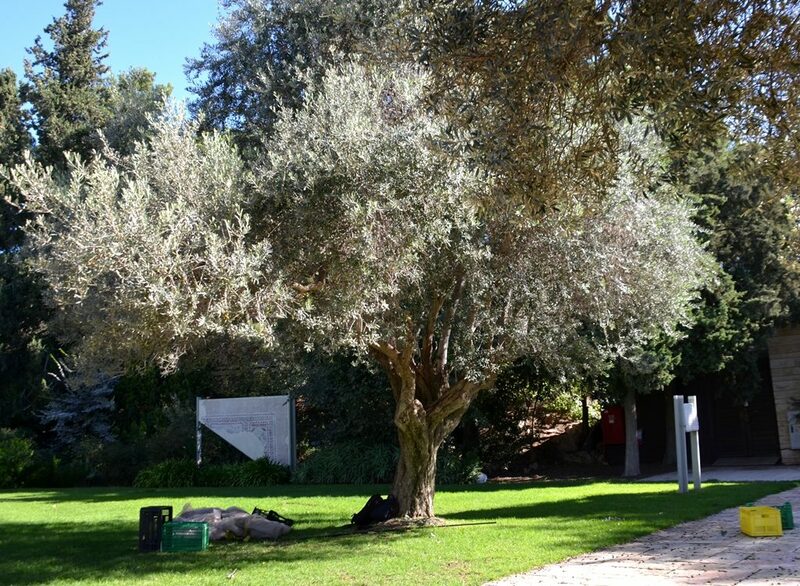 There are 60 olive trees on the grounds of Beit Hanasi, the Israeli President’s Residence. Among other things I learned this week, olive trees can live 2,000 years. 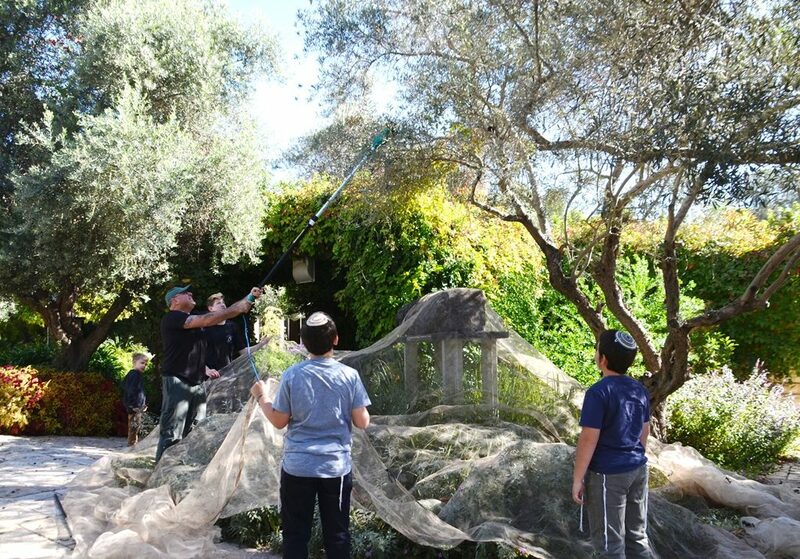 So important is the harvesting of olives there is a special word for it in Hebrew, מסיק, masik. 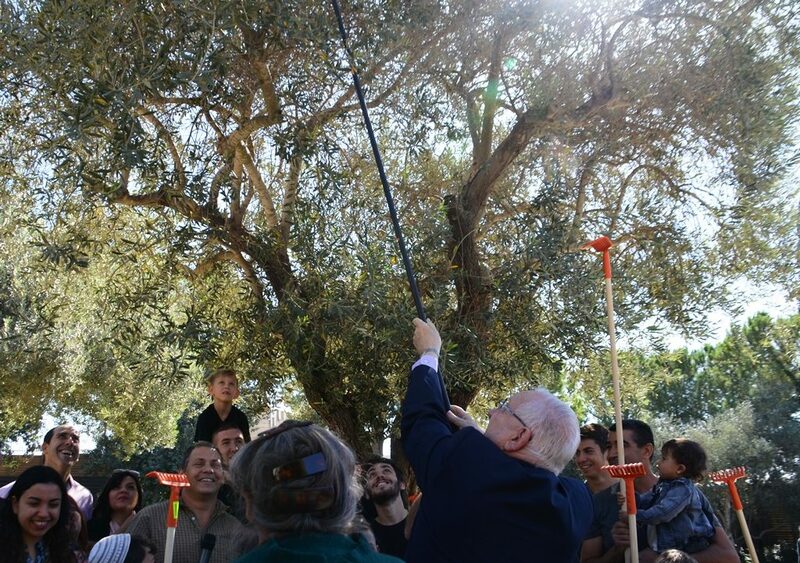 So this week after the first winter rain, President Rivlin invited olive growers to help him harvest the presidential olives. 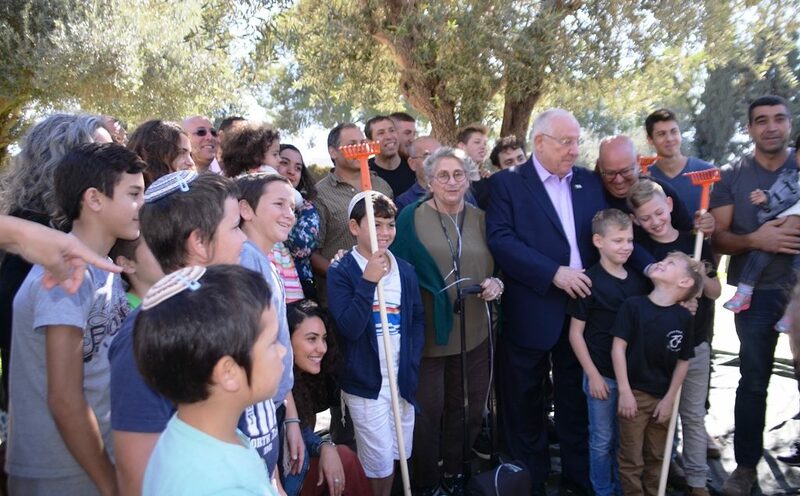 President Rivlin and his wife Nechama came out to greet the invited guests, Arab, Jewish, religious, secular, of all ages, some seventh-generation farmers. Those little orange rakes were good for official photographs. But the serious harvesting was done by large electric tools. And as usual in the Presidential gardens, the Presidential Cat was on guard supervising. The fall season is not just for harvesting olives. The annual Oud Festival is coming up soon. 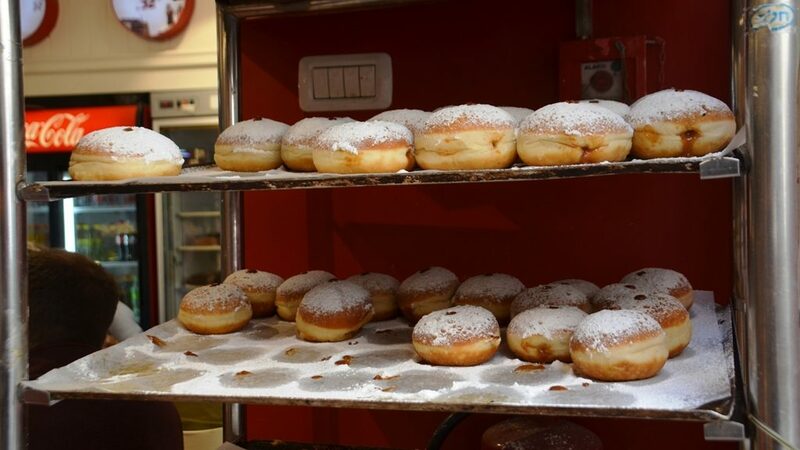 And suffganiot, those Hanukkah donuts, are appearing and disappearing from bakery shelves. And with all this happening, a shadow over this past week was cast by the unthinkable events in Pittsburgh which we learned about after Shabbat here in Jerusalem. 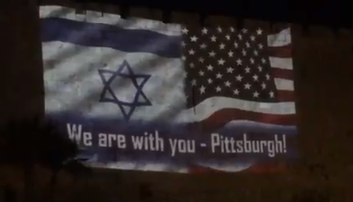 As young people gathered Sunday night to sing Hebrew sad songs in Zion Square, this message of support was shown on the walls of the Old City. Up-down, another roller coaster week, but if you want to end on a positive note, meet one of Israel’s proud olive growers. Not everyone in Israel wants to go into hi-tech, some still believe in value of agriculture. 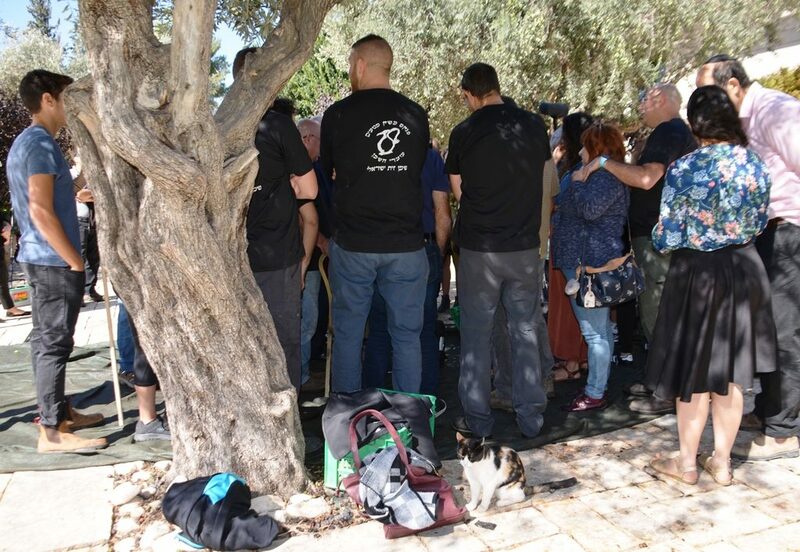 The sun is shining, the weather cooling, and it’s a great time to get out and walk around to see what else is happening in Jerusalem, but watch out for those black overripe olives that have fallen on sidewalks. all weeks I should have thanked you for your inspiring posts. Now I do it especially because I just returned from one week in Jerusalem, where I could see much of what you show us, with a prepared view. 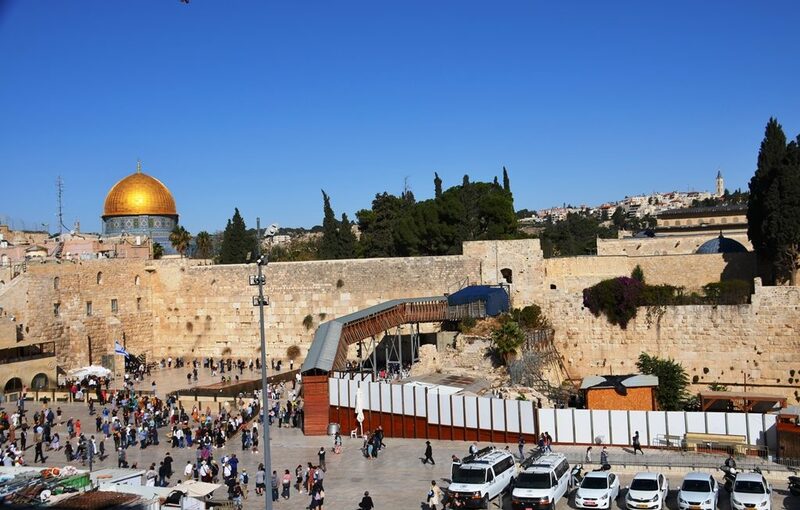 For ne Jerusalem is the lovliest city of the world and your RJS posts contribute to notice more and more of it’s spirit. What a wonderful comment, so greatly appreciated. Thank you. Is this a שהחיינו on a video in your report. As always, educational and interesting.